It's A Good Day is the major label debut by the widely acclaimed young jazz singer Cyrille Aimée—yet another step forward for the rapidly rising vocalist. Winner of both the Montreux Jazz Festival’s Vocal Competition and the Sarah Vaughan International Vocal Competition, Aimée explores a range of musical styles, eras, continents and moods on It's A Good Day (Mack Avenue) with a singular voice on inventive arrangements, and produced by Fabrice DuPont (Shakira, Jennifer Lopez). 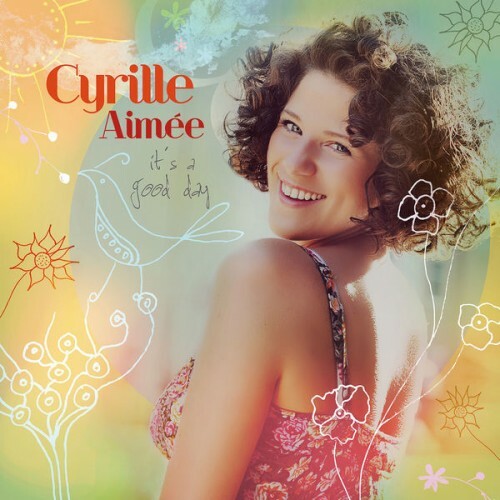 Cyrille Aimée's sixth solo album and debut for the Mack Avenue label, 2014's It's a Good Day, showcases her lithe vocal prowess and eclectic, expressive jazz style. Backing Aimée here are her core sidemen of bassist Sam Anning and drummer Rajiv Jayaweera, along with a handful of guitar collaborators including Michael Valeanu, Adrien Moignard, and Guilherme Monteiro. A native of France, Aimée first became interested in jazz by performing Django Reinhardt songs with local Gypsy swing artists. Later, while honing her craft in New York City, she branched out into Brazilian bossa nova, Latin rhythms and, of course, jazz standards. She brings all of this talent and experience to bear on It's a Good Day. Included here are exuberant originals and inspired cover songs including takes on such classics as "Where or When," "Caravan," "Love Me or Leave Me," and "Tricotism".